"We are called Hybrid for a great reason," says Caroline Ball of the corporate, event and wedding florist business that she co-owns with Alan Simpson. "And that reason is that we thrive on mixing and combining different elements, materials and influences in our designs." Their highly successful floral design company is a hybrid that has now lasted 10 years. Their paths into floristry could not have been more different. Alan left school not knowing what he wanted to do other than he wanted to be creative. His light-bulb moment came when a floral pedestal arrangement came crashing down at an amateur dramatic rehearsal in a local church. Alan found he was able to put it back together so well that nobody noticed the difference! "I literally fell into floristry!" he says, as he then completed a three-year YTS floristry course at Brooksby Agricultural College, before going onto the world of freelance floristry. Caroline, meanwhile, studied Communications and Animation at Goldsmiths College in London. To help fund her studies, Caroline worked part-time at a florist shop in Fulham Road, where she met Alan for the first time in 1997. In the following years, they kept meeting whilst working for different florists, finally taking the plunge in 2004, and launched Hybrid. Over the past decade, Hybrid has grown into a team of 12 and developed close working relationships with the capital's top companies, and event and wedding planners. They are now on the preferred supplier list of many prestigious London venues including the British Museum, Shakespeare's Globe, The W London, The Old Vic Theatre, and Wembley Stadium. "London inspires us," says Alan. "No two venues are the same. The mix of architecture and design here is amazing. London is where our clients are, and London is where we live. Every venue, client, every job requires a different creative interpretation. The long worktables in our studio sometimes have 5 jobs waiting to go out, each one looking completely different!" Caroline and Alan claim that there is no such thing as a trademark Hybrid design. However, judging by their reputation, the true trademarks of Hybrid are exquisite quality and superb attention to detail. 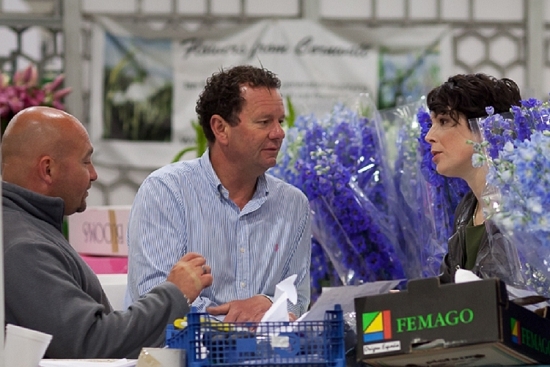 The first time Caroline and Alan ventured into the Flower Market was together to buy plants for a job. "Just ask," is Caroline's top tip for florists coming to New Covent Garden for the first time. "Everyone is there to earn a living. It doesn't matter how small your business is now – you could be the next big thing!" 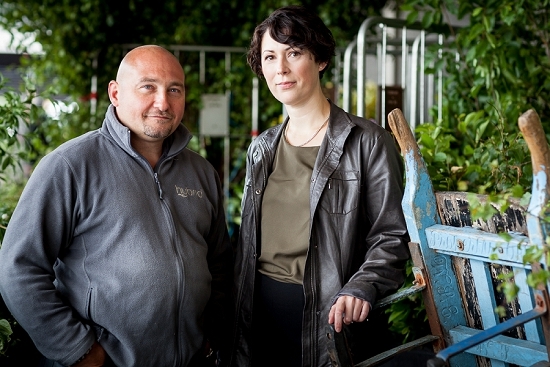 Today, Hybrid buy 100% of their materials at New Covent Garden Flower Market. They now have a unit over the road so that they can be close by. "We visit every day - and are enthused and inspired every day," explains Alan. "Our designers come to look and see what's around and we then pre-order for specific jobs." Hybrid source British flowers from Zest and Pratley and foliage from Porters to reflect the changing seasons in their designs. They have found that British increasingly means something to their clients, who love to spot flowers in an arrangement that are growing in their gardens at home. Corporate clients are delighted to receive an element of locally-grown where possible. For a Corporate Social Responsibility Showcase event staged recently by Restaurant Associates, Hybrid created stunning floral displays exclusively with British seasonal flowers and foliage. 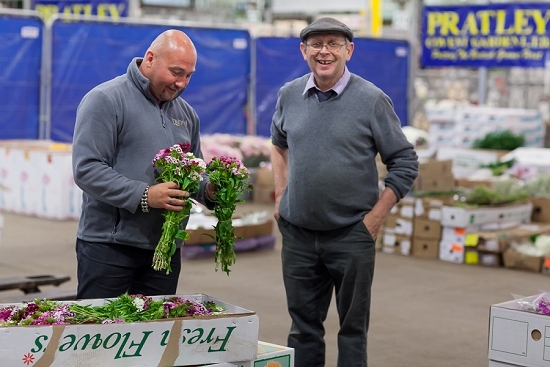 "As a buyer at New Covent Garden Flower Market, the competition between so many wholesalers on the same site is a good thing," says Caroline. "You get to choose flowers and foliages from so many different suppliers and growers, and are often introduced to new and exciting varieties. Our traders will always give us so many options, and that is what keeps us and the Market, fresh."